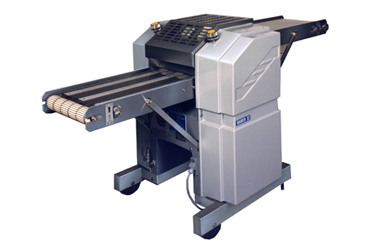 The Baader 52 is usually found in line with heading and filleting machines, provided the next logical processing step by removing the skin off of fillets of fish. The Baader 52 can perform both shallow-skinning (only the skin itself is removed leaving a silver film on the fillet) and deep-skinning (the skin is removed together with the fat layer which may leave a rancid taste on fillets). A large variety of fish species can be skinned, including Catfish, Hake, Pangasius, Salmon, Redfish, Tuna and Tilapia. It can skin up to 150 fillets/min.